“Glenn Beck nervously paced back and forth through his TV studio designed to look like the Oval Office. “He’s gonna call?” the conservative stalwart sheepishly asked. 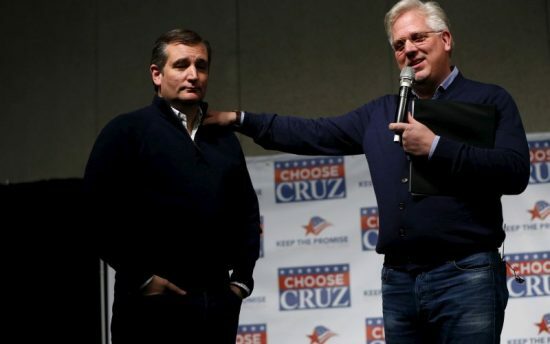 Beck was a lovesick puppy questioning whether his wayward one-and-only, Ted Cruz, will call him as scheduled on Monday morning. Following the interview, Beck joined Burgiere and Pat Gray on the “Oval Office” couch, and poured out his heart. I loved the backdrop of Glenn Beck in a replica of the Oval Office. There’s really nothing that screams kook at you more than that! This entry was posted on Monday, September 26th, 2016 at 3:44 pm and is filed under Election 2016. You can follow any responses to this entry through the RSS 2.0 feed.